Should a Christian smoke? 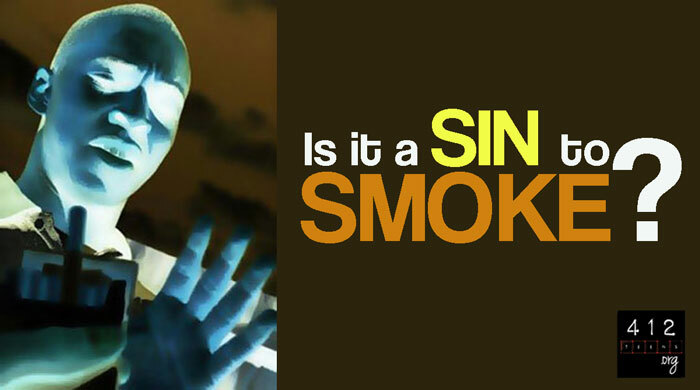 Is smoking a sin? We've probably all seen those kids. You know the ones. They stand behind the school in a circle, cigarettes in their hands, and an unemotional look on their faces like they think they're cool. The smoke curls from their mouths as they exhale while they really should be in class learning the name, hair color, eye color, and blood type of Marquis de la Jonquière's replacement during the attack of Pickawillany during the French-Indian War*. Other than skipping class, do you see that these kids are doing anything wrong? They're not hurting anyone. Just having fun, right? Let me ask you another thing: When you look at their faces, do they look all that happy? Maybe on the outside. But do you think they're smiling on the inside? Are they really that happy to be standing there, infecting themselves with toxins and carcinogens? Ask 'em 20 years later, when they won't be able to stop smoking if they tried and their bodies are ready to deflate like a birthday balloon that's been floating around your house for three weeks, slowly dying. Smoking may bring temporary happiness at first, but the consequences can be dire. Don't believe me? Listen to this story: On a recent trip to France, where smoking is considered a crucial part of French culture, my brother saw a man with a hole in his neck. (Yes, an actual hole; it's called a stoma and is created medically to allow a person to breathe after they've had throat damage, usually due to cancer.) As horrifying as that existence must have been, it got even worse. My brother observed that the man was STILL SMOKING. He just held the cigarette up to the hole and inhaled. Do you think he was smoking for pleasure? Tell me, how pleasurable does a hole in your neck sound? No, he wasn't smoking for pleasure. He was most likely smoking because he was addicted to the nicotine. So let's take the "addiction" part out of the picture. Would it be okay to smoke if it wasn't addicting? The science that tells us there are proven health risks from repeated inhaling of any kind of smoke tells us that addiction isn't the only problem. Cancer-causing carcinogens still hit the lips, mouth, and throat of a smoker—and those are not good things for your face. And remember, just because you can legally do something, that doesn't make it good or healthy for you (1 Corinthians 6:12). If you keep reading in 1 Corinthians 6, you'll find that we are to honor God with our bodies because they are temples of the Holy Spirit (1 Corinthians 6:19-20). Can anyone really say that smoking is "beneficial" to the body, that it honors God, or gives Him glory? Um...no. Let's hit on the "your body is a temple" thing. First Corinthians 6:19-20 says, "Or do you not know that your body is a temple of the Holy Spirit within you, whom you have from God? You are not your own, for you were bought with a price. So glorify God in your body." Many of the laws of the Old Testament were put there because, simply put, God wanted the Israelite nation to be healthy. Even though we are no longer under the laws of the OT, God still wants us to be healthy! God hasn't changed how He feels about His kids (James 1:17; Psalm 102:27; Malachi 3:6). You may be thinking, "Fast food is addicting too. Is it a sin to eat a Big Mac then? Is my Wendy's Baconactor going to separate me from God?" You've got a point there. There are a lot of addicting things other than smoking that people do. Video games, energy drinks, coffee, whatever. Your church pastor probably needs some kind of Sunday morning caffeine jolt before first service. Even the famous British preacher C.H. Spurgeon smoked cigars. But does that really make it okay? All right. So what about being addicted to good things? Like exercising, meeting goals, getting straight As? If achieving a goal, even a good one, becomes more important than loving God and other people, if it feeds your ego instead of building your faith, then it's become an idol. And idols are not cool (Exodus 20:1-10). Yes, Christians do things that are addicting or lead to addiction. But just because a lot of Christians do something, that doesn't make biblical. Addiction is a product of our sin nature and part of the reason why Christians are so often called hypocrites. Biblical principles teach us to avoid addictive things and behaviors. Period. Secondhand smoke is the noxious stuff that comes out of a smoker's mouth when they exhale, and it's been proven to be very dangerous. Even if a person doesn't smoke, their health might still be affected by cigarettes. In fact, 46,000 people who don't smoke die each year from illnesses and diseases caused by secondhand smoke**. Secondhand smoke has been compared to the vile toxicity of car exhaust. I don't know about you, but I'm not thrilled about the prospect of sucking in the horrible chemicals coming out of a tailpipe. If you choose to smoke, every time you light up a cigarette, you'll be putting everyone in your general area at risk. Essentially, the cigarette in your hand could end up killing people around you. Now we're taking it to the next level. Murder is a sin according to the Bible. (Okay, do you SERIOUSLY need a Bible citation for this? Fine, if you really want it, here are two: Exodus 20:13; Revelation 21:8.) Murdering is definitely not something a Christian should do. Smoking is a problem that needs to be handled NOW—before anyone gets hurt. So, should a Christian smoke? According to the biblical principles we've just talked about, the answer is "no". But seriously, you don't need to smoke. God is all you need (2 Corinthians 9:8). Well, okay, you need food and water, but God can provide that too. Are your friends going to think you're lame just because you don't smoke? If they do, tell them it's even lamer to kill people with your breath. (And by breath, I mean secondhand smoke, if you weren't following me there.) 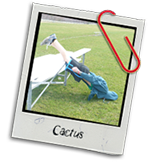 We shouldn't do stupid things to impress people (Romans 12:2). We should do good things to please God (Matthew 6:1-4). * It's amazing how smart you can sound just by glancing at a Wikipedia article for 10 seconds. ** For more information on secondhand smoke, check out this article, which is where I got the statistic.